To a Social Media Marketer or person trained in SEO and other Social Media activities, brand building, content management and publishing comes as part of their day job. As for myself, an individual one-person entity, I have to do all of the above with limited funds and resources. In fact, so far I’ve tended to do this alone, learning or making mistakes as I go, which is nothing new to me as I’m largely self-taught in everything I undertake. I will check up on the consistency of what I want my brand and blog pages to promote, on a monthly basis. In fact, today I did just that by analysing my insights on my various Social Media platforms. The following excerpt being taken from my Facebook page. “Having just gone through my latest monthly insights and as a result of my broader social media analyses, I am pleased to confirm the consistent growth of both my pages here at naturestimeline and naturestimeline.StandUp4Nature. I am not currently in a financial position and moreover do not view it as a viable option right now, to partake in any paid advertisement of my pages. The progress of brand “naturestimeline” is truly only possible with you, my followers engaging with me and by your “word of mouth” exposure to other interested parties. Nonetheless, as I expand brand exposure and ultimately achieve more business opportunities, I may eventually consider the prospect of paid advertising. As my audience grows, those of you reading this become all the more important to me, so do share your thoughts with me, send me ideas, provide some opportunities for general chit-chat, whatever. Below is a snapshot of just how you, my followers, have played your part in allowing me to develop naturestimeline over the past year. *to make more sense of the figures within the spreadsheet screen grab, simply expand the image to full screen. The data is courtesy of my Facebook Insights and as such, private data issued to me directly from Facebook hence I’ve made the data deliberately small. All the best wishes and any questions, please DM me. 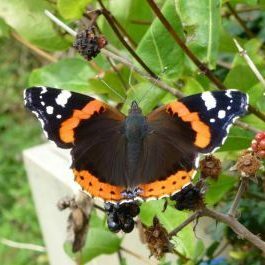 As ever, you can access my Facebook updates by clicking on the Red Admiral butterfly icon below.